I'm running a promotion for my boutique bakery business, Shortycake Creations. 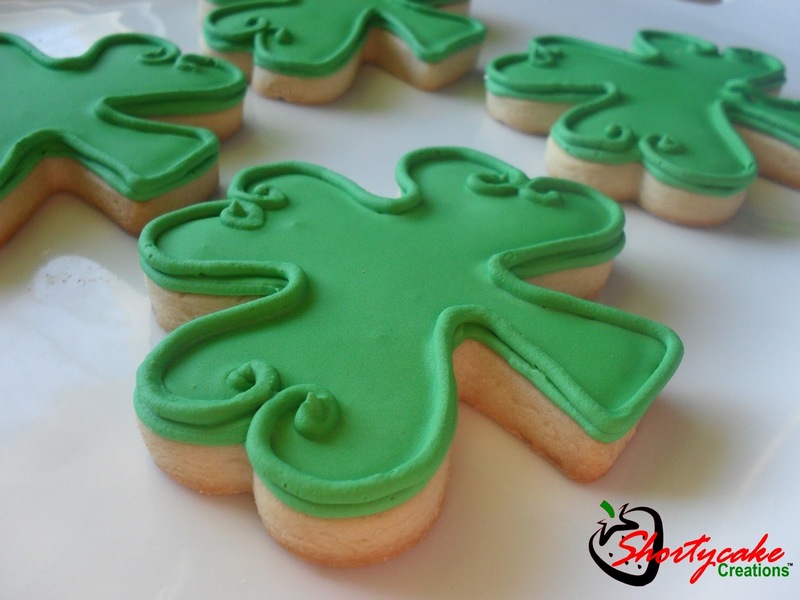 I have set a hefty goal to get 50 orders for my awesome Shamrock Cookies. When I hit this goal, one of the lucky 50 who ordered will win a FREE dozen Easter Cookies! No 50, no Lucky. Here's how to order: email me your order, ship to address, & email address for the PayPal invoice. All orders will be shipped by March 10th and must be paid in full before shipping. So, help a girl stay out of the government cheese line and order some delish cookies, you won't regret it! You can check out Shortycake Creations on Facebook too! your cookies are beautiful and the inspiration for my cookies! Thank you, whoever you are! Glad I can inspire!